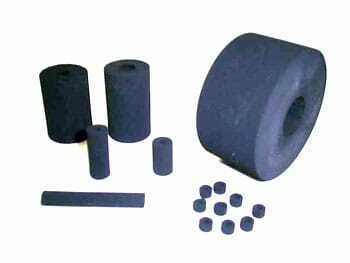 These rolls are all made of NBR(Acrylonitrile-Butadiene-Rubber) by our original material blend and manufacturing process, and used for all kinds of printing calculator including CANON, CASIO, PANASONIC, SHARP, and TEXAS INSTRUMENTS with great popularity. They are named for several kind of names, and we originally call ink-impregnated type as “INKROLL” and umimpregnated(dry) one as “ROLLPAD”. Good partner for Laser Emgraving machine! Long durability and long printing life! 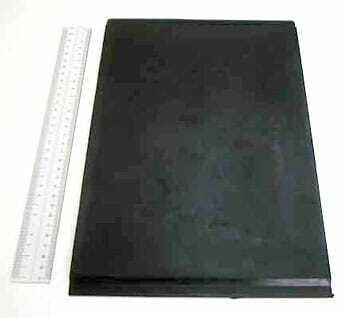 This sheet is also made of NBR(Acrylonitrile-Butadiene-Rubber) as well as the other TENSHOUDOU’s rubber products. This sheet is used for the laser emgraving machine for stamp surfaces. We’re now supplying various emgraving machine dealers with many types of sheets with great popularity. Size is A4(297mm X 210mm). Thickness is 6mm, 6.25mm, 7mm,3mm and so on and we can meet your various request as much as possible. 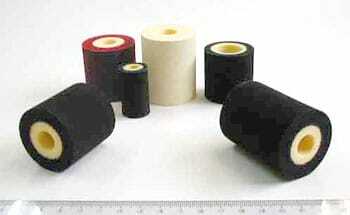 Inquiry about this product: KIKUCHI MFJ co., ltd. This is our brand-new product. Differently from our other rubber products, this sheet is made of silicon by our original material blend and manufacturing process. 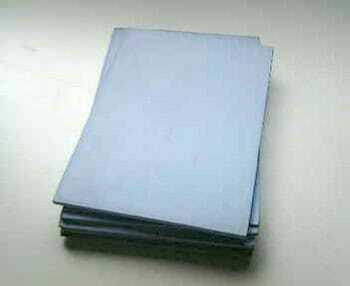 Its use is also for laser emgraving machine as well as original laser sheet, but black soot and bad smell never occurs in emgraving time. Even inside our conpany it’s gathering good reputations as the enviroment-friendly product meeting the needs of the ages. Already we have supplied sample pieces to a part of customers and received good reputations from them. Size is A4(297mm X 210mm). Thickness is 6mm. Sequentially we are to arrange its variety. Your hand keeps clean when you pick this roll out with your bare hand. The reason exists in its ink. It is this ink’s strange feature to remain soild at ordinary temparatures but melts at more than 65 degrees centigrade.So we can have your hand keep clean when you pick this roll out with your bare hand.This type of roll is used for the machine to print best-before date on the food package(meat, fish, processed goods and so on). We’re now supplying various packaging machine dealers with many kinds of rolls in various type of size, color and property with great popularity. We suppose you have already seen without-stamp-pad stamp somewhere.We TENSHOUDOU manufacture and sale such miracle-breeding and incredible high-quality stamp material by our original material blend and manufacturing process. It is based on chemical rubber, NBR(Acrylonitrile-Butadiene-Rubber), so it has long and long endurability, and has multiplicity of air bubbles inside, so you can stamp many and many times for a long and long period. Copyright © 株式会社　天昭堂 All Rights Reserved.